In 1990, HTTP was introduces as a method to allow browsers request information from servers where web-sites are hosted. But there is a more advanced option today: HTTP2. It was invented by engineers and IT specialists working in the biggest enterprises. HTTP2 ensures quicker and safer data loading, enhancing users’ security. It may handle the same requests without damaging servers. HTTPS is based on SPDY protocol that connects HTTP and HTTPS protocols, simplifying, tokenizing and compressing requests. They both make browsing faster allowing making several requests at once. 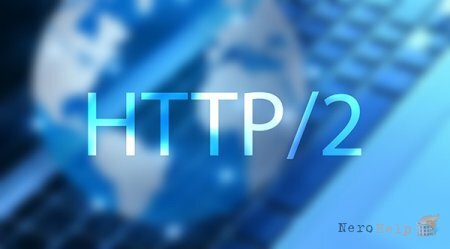 What is the difference between HTTP and HTTP2? HTTP2 is a binary protocol that is less prone to errors and more compact. In comparison with HTTP that is textual, HTTP2 is multiplexed, which makes parallel connection possible. · Multiplexing, e.g. ability to same multiple requests over the same TCP connection and get responses out of order. · Dependency of stream: user may indicate to the server which resources are in priority. · Server push, e.g. sending the resources that have not been requested by the client yet. Implementing HTTP2, you don’t have to change applications or websites to ensure their proper work – they will function uninterrupted, consuming fewer resources of client and server. Many global organizations use HTTP2 connection on browsers, benefiting from better security and performance. In the future, many of them plan to replace SPDY totally with HTTP2. HTTP2 standard was approved in February 2015, and most browsers already support it. If you are CDN user, you can allow implementing this technology, too. With HTTP2, you will greatly improve page loading speed and user’s experience. The sooner you grasp the possibilities, the more successful your project will be!